Maximilian Menhard was an intern at ISDP’s Silk Road Studies Program during the fall semester of 2018. Mr. Menhard is a second year Master’s candidate in International Security at SciencesPo Paris, focusing on Project Management and Central-/Southern Asia. He graduated from Freie Universität Berlin with a B.Sc. in Geography focusing on Development and the Central Asian region. For his thesis, Mr. Menhard conducted independent research on local water management and conflict resolution structures in Uzgen, Kyrgyzstan. Among others, his research interests include countering violent extremism, security sector reforms, and crisis management. Mr. Menhard gained valuable professional experience working for a consultancy within the development sector on local institutions and rural development in Jalalabad, Kyrgyzstan. 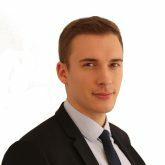 Furthermore, he worked as a Research and Analyst Intern for the Security and Economics Department of the German Embassy to Kazakhstan. He is a recipient of the performance-based DAAD Merit scholarship and speaks English, German, Polish, as well as Russian.